Another weekly wishlist, this time featuring Urban Decay's Vice Palette and Hourglass' Blush Palette. One. Urban Decay Vice 3 Palette - I mean, I don't know a single person that doesn't want this palette... Everyone that has it has been raving about it and everyone that doesn't wants it. Basically, the norm for UD palettes. I wasn't so impressed when I saw it online, but seeing it in person at Sephora really made me want it! The colours are beautiful and vibrant and its a great collections of different shades. 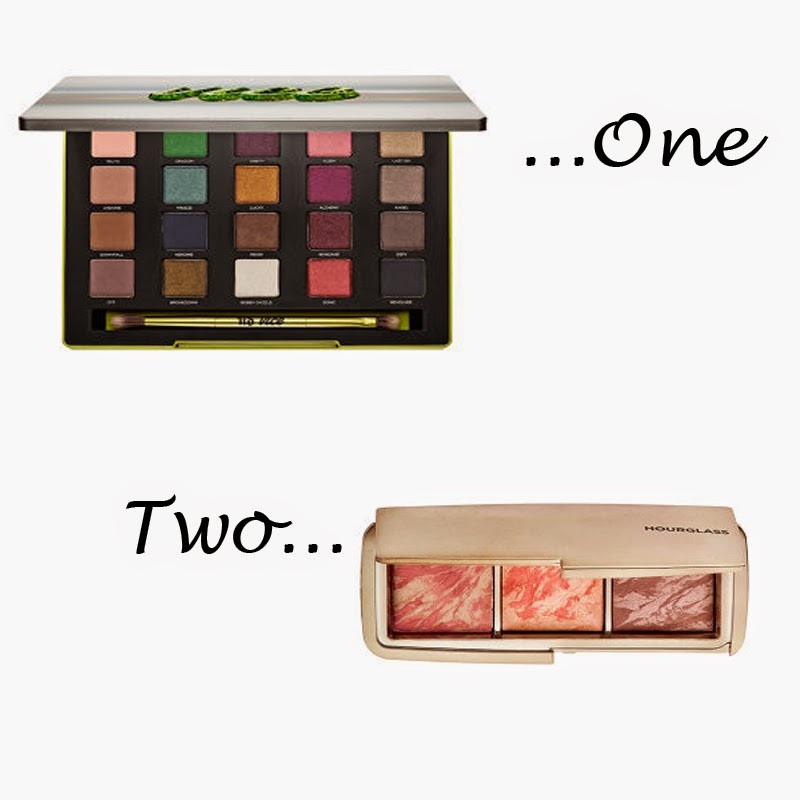 You could create a super bold look or a very natural look with this palette. Two. Hourglass Ambient Blush Palette - This palette is just beautiful, but completely unnecessary. This can be a great gift for that fancy beauty lover or just a super splurge of a treat for yourself. The hourglass blushes are impeccable, so I would highly recommend trying them! At 67.00$, this palette is a steal for 3 hourglass blushes!